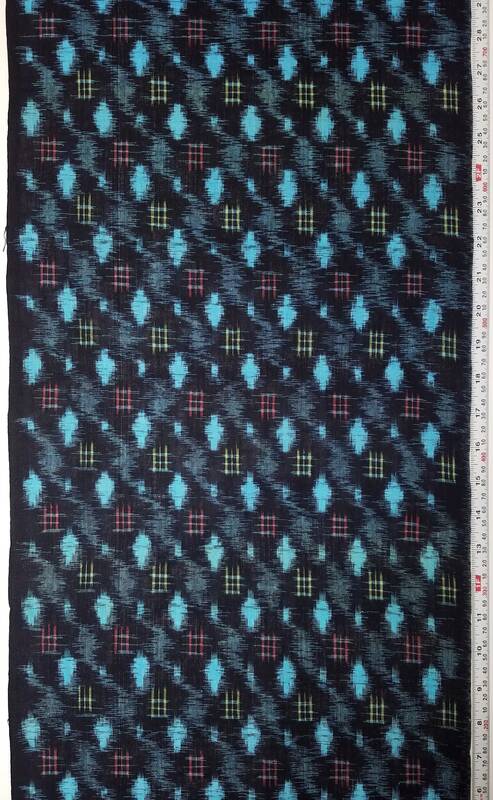 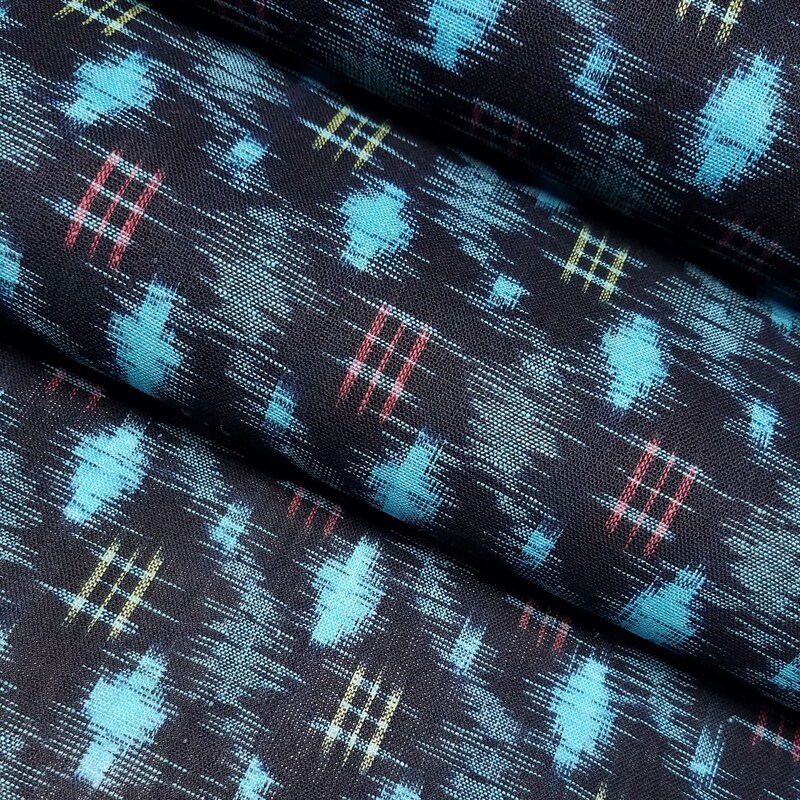 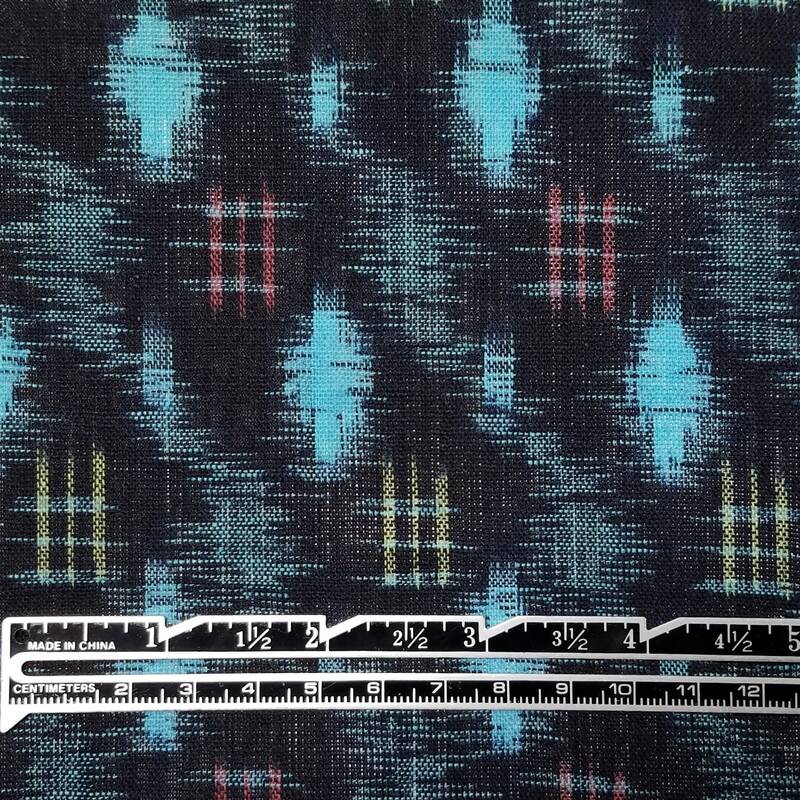 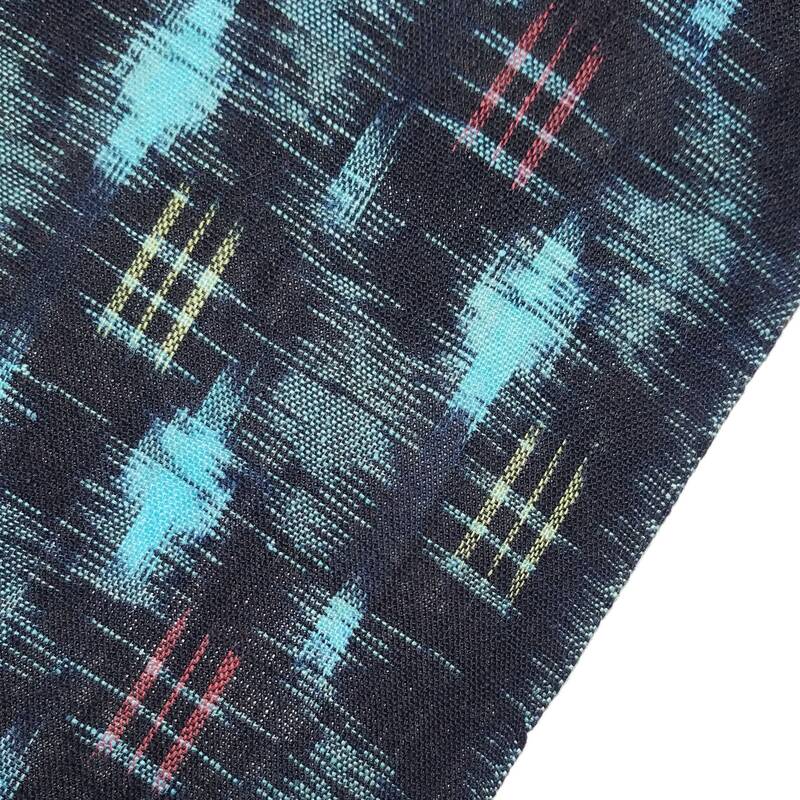 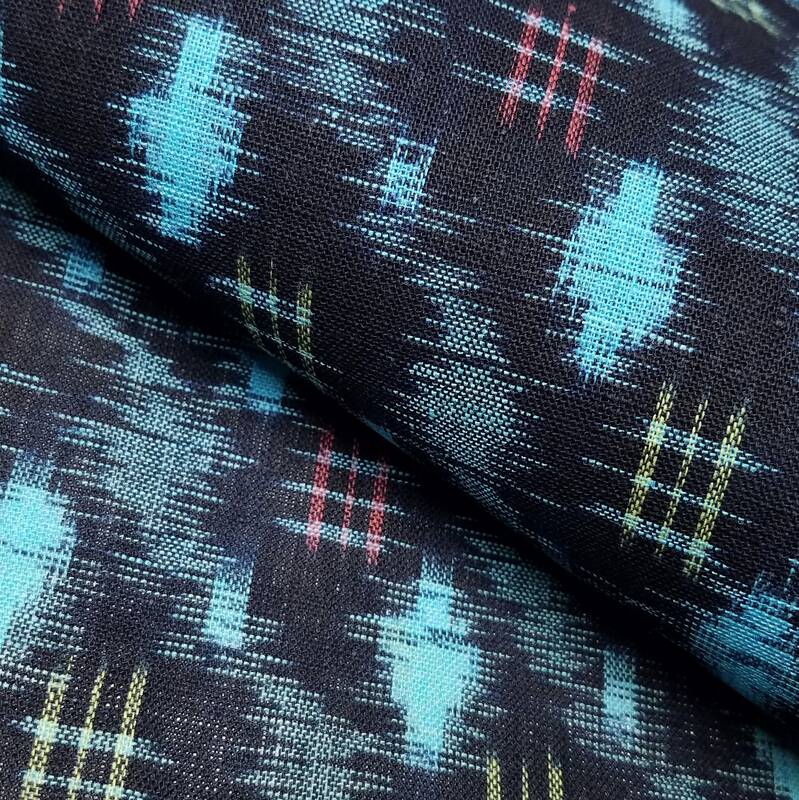 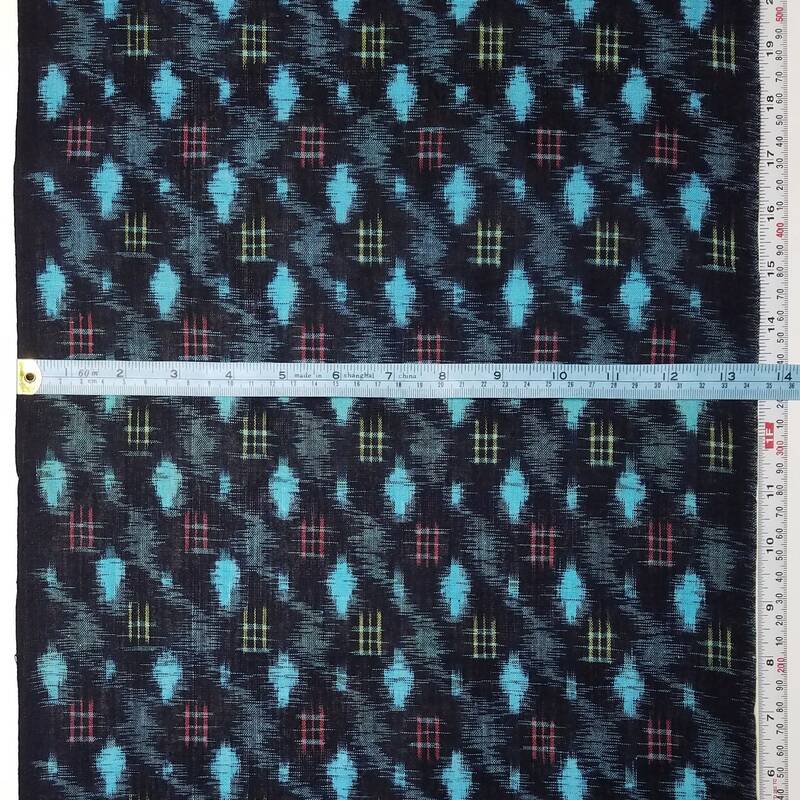 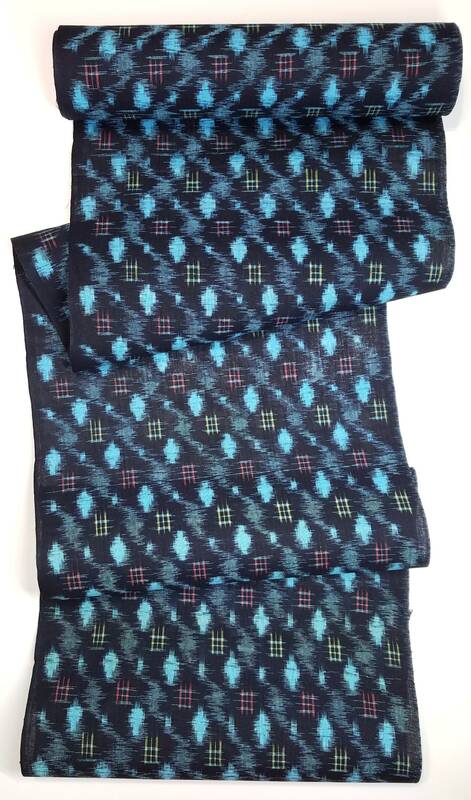 The cotton fabric has a black background with a woven design of sky blue colored abstract diamonds and mist, and pale yellow and red colored crosshatches. 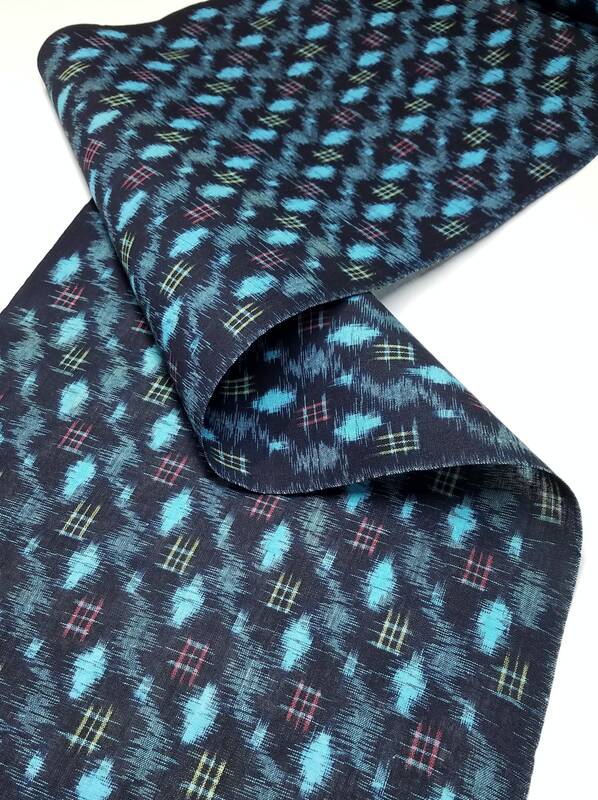 Please see the last photo for the best representation of the colors. 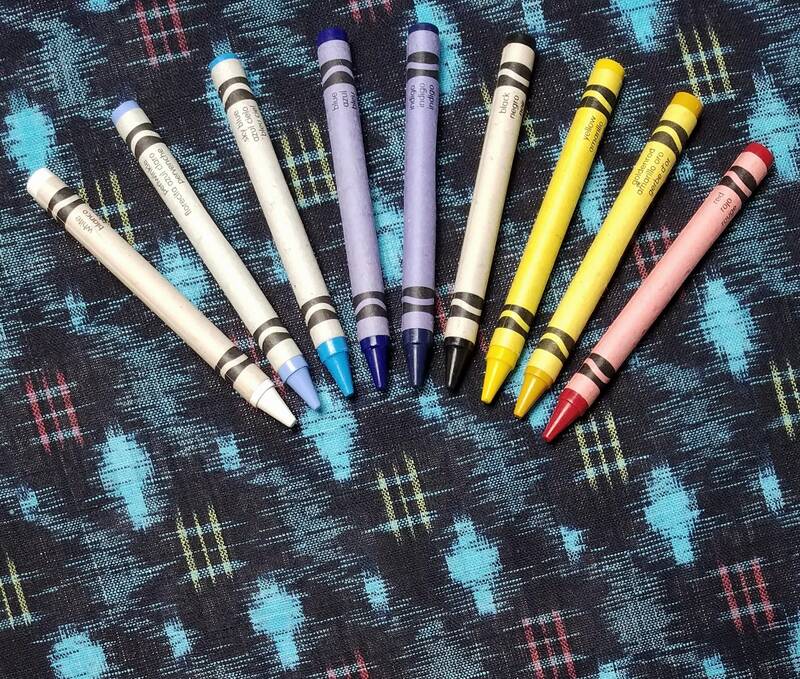 Crayola brand crayons are placed in the photo for a color comparison.